We believe the purpose of technology is to empower people and organizations to affect positive change by helping them to solve problems, make discoveries, and advance society. We’ve developed a formula for making others successful and we thrive on sharing our knowledge. 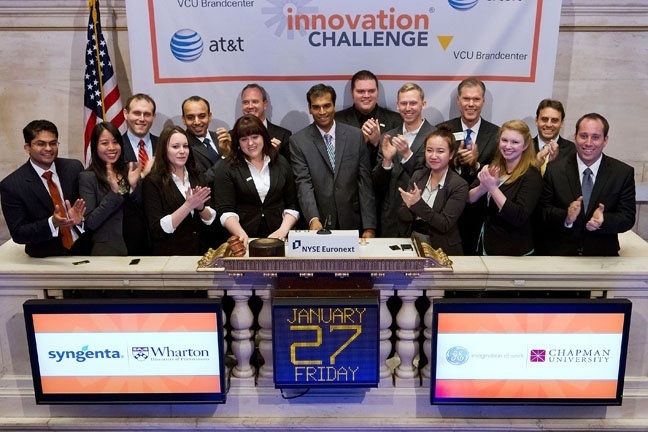 In 2002 Skild’s Founder and CEO, Anil Rathi launched, the Innovation Challenge® a university-based competition designed to solve real-world challenges by uniting the brightest students with global brands such as GE, AT&T, Hilton Hotels, IBM, RBC, American Express, Harley-Davidson, Shell and The Robert Wood Johnson Foundation. To help collect, evaluate, and manage submissions for the Innovation Challenge, Anil developed the Skild platform. Soon after, organizations were asking if they could use the Skild platform to run their own challenges. Since then, Skild has grown to become an industry leader by helping businesses, governments, foundations, and educational institutions successfully design, market and manage competitions and learning and development programs; programs aimed at solving problems, building awareness, catalyzing social innovation, and uniting communities in health/healthcare, environmental sustainability, education, and science & technology. Skild has designed, supported and enabled more than 500 global competitions and helped both large and small organizations award prizes valued over $100 million. We have been honored to work with respected organizations like The Walt Disney Company, MTV, GE, AT&T, Nike, Drucker Institute, Ford, Autodesk, Nissan, National Science Foundation, USPTO, Aspen Institute, National Association of Broadcasters, KaBOOM!, 43North, 76West, CDC, Reed Elsevier, Canada Health Infoway, Lumina Foundation, UCLA Health, University of Southern California, and DFID. Anil founded Skild in 2002 (formerly Idea Crossing) along with Innovation Challenge, the world's largest and longest running university innovation competition. Over Skild/Innovation Challenge's 11+ year history, he's helped hundreds of organizations inspire change and highlight creativity through the power of online contests. His work with Skild has been featured in Forbes, CNN Money, Business 2.0, Inc. Magazine, McKinsey, Chicago Tribune, MIT Innovations, and PR Week, among many other publications. Prior to joining Skild in 2011, Michael worked at the XPRIZE Foundation where he lead the public relations and communications department for over four years. His team was responsible for both media outreach and communication with the foundation's many board members, donors and sponsors. Highlights include announcing the launch of the $30 million Google Lunar XPRIZE, announcing the launch of the Wendy Schmidt Oil Cleanup XCHALLENGE, and revealing the winners of the $10 million Progressive Insurance Automotive XPRIZE. Before joining Skild in 2010, Joe was a senior developer at LoanDNA, a web-based platform for transforming affordable housing. Melody is the newest member of the Skild team, selected from a field of candidates who were evaluated using the Skild platform. She joins Skild with over 15 years of account management experience in the mobile, software and entertainment spaces. Tom Rabon brings more than 30 years of experience working in government and the private sector. He is the Chairman and Partner of New Kind. He served for 8 years as Executive Vice President for Corporate Affairs at Red Hat during the time that the company grew from a little known technology company to one of the world’s technology leaders. He has worked extensively with governments and businesses around the world to create market opportunities in emerging markets such as China, India and Brazil. Skild's co-founder and its former CMO, Ryan was Director of Global Alliances at the XPRIZE Foundation for over three years, and continues to advise Skild as it opens its platform to organizations of all sizes around the world. Skild's CTO for four years, Denis was previously CTO at Placely and Marketwire, and a consultant at XPRIZE Foundation, assisting the organization in its online initiative to bring the prize model to a broader audience. He continues to advise Skild on the technical requirements needed to scale the platform.